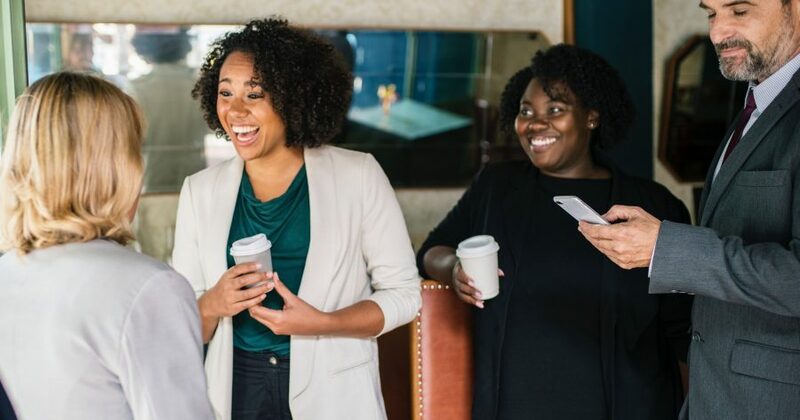 Setting new employees up for success starts before you make anyone an offer and ensuring they continue to be a contributing member of your team extends well and truly beyond their probation period. In this post, I’m going to cover off on some of the main reasons people don’t work out and what you can do to help avoid this happening in your business. So why do some people work out and some people don’t? The employee is not willing to “work hard enough”/cultural fit. If you have hired someone that isn’t technically capable of doing a job, then that is on you and is usually a case of, “I liked them so I thought they would be good,” rather than they can do the job. Many businesses we work with will have a rapid screening test where each candidate will answer 3 or 4 technical questions before attending an interview. Candidates do get a little frustrated by completing tests prior to attending interviews; however, this is one way to ensure you are only meeting candidates that are technically capable and interested in the role. When I took the references, did I explain our culture to the referee and did I ask them how they think this person would cope in that environment? No one accepts a job hoping to fail. Asking people questions about their current place of employment during the interview process gives you the opportunity to work out if they are going to be able to cope. If you know your work is tough, then you need to be painting the picture to candidates throughout the process, explaining to them that this is what it is going to be like. If people know what they are getting themselves in for, they are far more likely to commit to that decision and in turn, perform at the levels required. The recruitment process, as a rule, is heavily skewed towards determining if a candidate is suitable for a business and not the other way around. One of the best pieces of advice I was given when I first started in recruitment was that after the first interview you should push the candidate away from the job and see if they come back. Everyone’s circumstances are different, and it is impossible to know all the factors and the weight they assign to each when considering a job. By giving people all the information, good and bad, they need to decide for themselves, painting the picture of what the business is like to work for and encouraging them to speak with a couple of people, they will take ownership over their choice and ultimately commit to that decision. Somehow we always ended up with “put your hand up if you have a question and don’t interrupt others if they are talking”. Unless there has been a significant change in business operations, there is no reason in my mind why someone should be in a job they weren’t expecting. I’d be interested in seeing the empirical evidence, however, can say that while it isn’t the sole reason it is often a contributing factor. If you are hiring people, you need to be very conscious of doing all you can to make sure new hires know what you are going to be like to work with regardless of how demanding / hands on you might be. As a worst case, you need to pull new hires aside even quickly to reassure them on the above and let them know when they can expect to have a more formal catch up. If someone is coming from a larger business, there is a good chance they are used to having good policies and will find working in a company that doesn’t look challenging. I’m sure by now you see a theme developing here. Spending time to ask candidates about the systems they use, explain what your systems are like, and the main frustrations using real examples will mean that there are no surprises when they start. It just wasn’t right and if you accepted a position with them for any of the above reasons you would have been let down. They worked 8 am – 6 pm, micromanaged, had a strict 1-hour lunch policy and the training consisted of a recruitment video from the ’90s. Every business culture is different, I’ve recruited for businesses that work 38 hours a week and those that expect people to work 70 hours a week, every week. In my experience, regardless of how tough a working culture is, if you are transparent and explain to people what it is actually like to work with your business, and ask them to really think about what that means, you will give yourself the best chance of hiring the right people and getting them to stay. In closing, ensuring people work out starts from the first interview. By running a systematic interview process and spending time on really explaining to candidates what it is going to be like to work with your business, you will give yourself the best chance of hiring the right person, providing feedback once they will ensure they stay engaged. Peter Kibble studied Organisational Psychology and Commerce at the Australian National University and is the Director of Ford Peterson, a specialist accounting and finance recruitment business in Sydney. Prior to starting Ford Peterson he was one of the highest performing consultants for an international recruitment business, successfully recruiting executive level positions for some of Australia’s leading organisations.